Even with a healthy diet and regular exercise it can be difficult to get rid of excess deposits of fat. For those stubborn fatty areas, you may choose to undergo liposuction at the leading plastic surgery clinic in Tijuana, BM Plastic Surgery. For over 17 years our chief plastic surgeon, Dr. Balza Mirabal, has helped patients enhance their appearance and self-confidence with surgical cosmetic treatments. 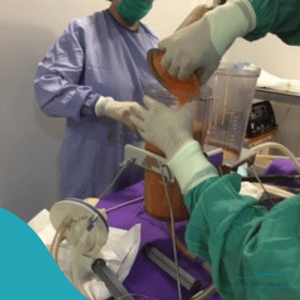 Dr. Balza Mirabal is providing pure artistry in the capital city of Bogotá where his patients are achieving transforming body reshaping results. This is without a doubt, one of the most popular procedures in plastic surgery. This procedure has been modified in many different ways, but its essence and basic principles remain the same. Ideal candidates for liposuction will have “stubborn” areas of fat that simply cannot be reduced. Most patients will complain of exercising and dieting properly, to no avail of certain areas. In these cases, liposuction is the ideal solution. The most common areas that are addressed are the abdomen, “love handles”, lower back, and upper back. Dr. Balza Mirabal uses some of the most advanced liposuction techniques to remove localized fatty tissue deposits and create beautiful body contours. She customizes each treatment according to the unique needs of his patients, an approach that allows him to consistently deliver remarkable liposuction results. Liposuction precisely break apart and emulsify fat deposits for easy, safe removal. The result is a more beautifully sculpted appearance with less time off for recovery. Tummy tuck surgery in Tijuana is a very popular procedure for post-bariatric patients and for those that have lost large amounts of weight. If a woman decides to not have any more children, tummy tuck surgery at the top-rated plastic surgery clinic in Tijuana can give you the firmness in the mid-section that you once had. In order to perform this surgery, Dr. Balza Mirabal will make an incision along the ‘bikini line’ in the front of the abdomen. Excess fat and skin are removed in order have a smooth and flat mid-section. Some patients are candidates for what is called a circular tummy-tuck. This procedure removes large quantities of skin and fat. This is especially common in post-bariatric patients that have lost large amounts of weight. Lower Body Lift is also a very popular procedure with women (and men!) who have lost large amounts of weight. With a surge in bariatric surgery in the last decade, many patients are turning to these types of procedures to complete their full-body transformation. In many cases this procedure, along with a tummy tuck, can become a “necessity”, due to the large amounts of excessive skin the patient presents. When performing a Lower Body Lift in Tijuana, our surgical team makes a contoured incision along the lower back of the patient. This will allow them to take a “block” of skin and fat that will allow them to “lift” your lower body. This reduces the sagging appearance that is very undesirable. You can also visit our liposuction Guadalajara, liposuction Cancun, liposuction Puerto Vallarta and liposuction Mexico websites.